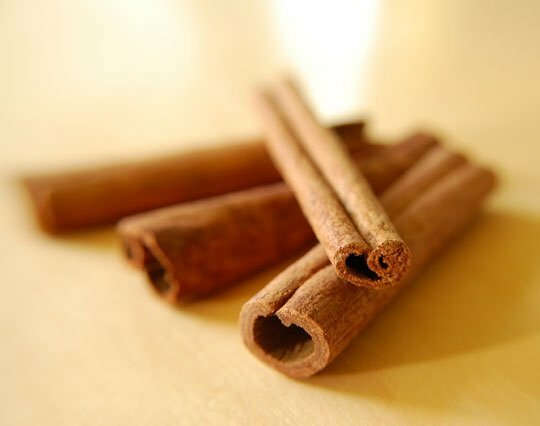 Cinnamon and Quitting Smoking - Does It Really Do Anything? People will try just about any method they can think of to quit smoking successfully. That is because it is so difficult to quit, and many people experience different symptoms from others who have tried to do the very same thing. Some methods work for some people but not for others, which is why the idea that cinnamon may help quit smoking is not that farfetched. To be more specific, it is cinnamon sticks that many people are recommending. Using these sticks will not actually stop nicotine side effects or many withdrawal symptoms. They do nothing for you physically, but they may very well have an emotional and mental impact that could prove invaluable. The idea is that you use the cinnamon sticks almost exactly like you would a cigarette. You never light them up, of course, as that could be dangerous, but just pull one out whenever you feel the craving for a cigarette. You can inhale on the stick the same way you would with a cigarette. It can have a calming effect and satisfy your cravings to some degree. Many people find that puffing on a cinnamon stick tricks their body into thinking they have a cigarette, and their cravings and symptoms respond accordingly. There is nicotine to be had in a cinnamon stick, of course, but the sweetness of the cinnamon can certainly help. Many people who suffer withdrawal symptoms after quitting smoking feel sugar cravings. Cinnamon can help to satisfy those cravings and get a little relief from the torture of being without a cigarette. You can keep using the cinnamon stick until the craving subsides and then put it away until the cravings return. You may find that the cinnamon taste is too strong for your liking. In that case, just keep a bottle of water handy to wash out the taste. Water gets rid of the cinnamon flavor pretty effectively. This is not a method that is going to work for everyone. Some people just don’t like the powerful cinnamon taste, as sticks are stronger than the bit of cinnamon powder that is in most cinnamon-flavored foods. Other people are actually allergic to cinnamon, so this entire method is impractical and dangerous for them. Others still will find no reprieve from their symptoms by using a cinnamon stick instead of a cigarette. They just can’t trick their body into accepting the stick as a replacement for a cigarette. Everyone’s experience with quitting smoking is going to be a bit different. You just have to find the method that works best for you, whether it is nicotine patches, support groups, quitting one cigarette at a time or something else. There is a method out there that will work for you, and you just have to discover what it is. If you have tried a few different ways and you are willing to give something else a try, then you may want to check out the cinnamon stick method for yourself. They are easy to find, and they are inexpensive, so you are not going to inconvenience yourself giving them a shot really.